For our retailers, we can tag our woody ornamental plant material with cultural information & your retail price. 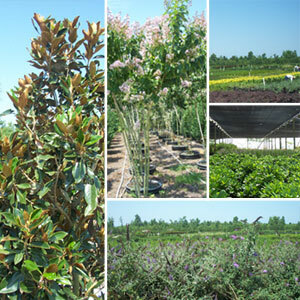 Your plants will be ready to sell the moment they are unloaded from the truck. Most annuals & perennials include a color picture tag. We strive to protect our industry for our customers present and future, future generations and ourselves. We work hard volunteering and supporting the Johnston County Nursery Marketing Association, the North Carolina Nursery and Landscape Association and the North Carolina Commercial Flower Grower's Association in their efforts. We also have been working with the Green Industry Council, which is working hard to protect the entire green industry in innovative ways never seen before in North Carolina. Click on any of the logos below to visit their web site and to learn more about ways you too can become involved in these wonderfully helpful organizations.